Why co-constructing criteria is worth it! And lastly, I think everyone needs to know the work of Royce Sadler. It is important for leaders to know what quality assessment practice looks like, as well as understand the ways in which to support teachers to do this work. “As you consider supporting teachers in refining and renewing their classroom assessment practices, don’t be deceived by how simple it appears to be to involve students in assessmentfor learning. The ideas themselves are simple, but implementing them in today’s busy classrooms will take some time. 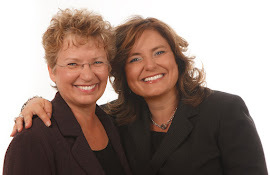 One of your roles [as a leader] is to assure teachers that the time spent in improving classroom assessment will be well worthwhile in terms of student learning and achievement” (Davies, Herbst, Parrott Reynolds, 2012a, p. x). Recent research has demonstrated the importance of working intentionally with school leaders to increase their own assessment literacy (James et al. 2008; Moss, Brookhart & Long (2013); Smith & Engelsen (2013); and Swaffield, S. (2013). James, M., McCormick, R., Black, P., Carmichael, P. Drummond, M. J., Fox, A., MacBeath, J., Marshall, B., Pedder, D., Procter, R., Swaffield, D., Swann, J. and Wiliam, D. (2008). Improving Learning How to Learn – Classrooms, Schools and Networks. London, UK: Routledge. Moss, C., Brookhart, S. & Long, B. (2013). Administrators’ roles in helping teachers use formative assessment information. Applied Measurement in Education, 26 (3): 205-218. Smith, K. & Engelsen, K. (2013). Developing an assessment for learning (AfL) culture in school: the voice of the principals. International Journal of Leadership in Education: Theory and Practice 16 (1): 106-125. Swaffield, S. (2013). Support and challenge for school leaders: Headteachers’ perceptions of school improvement partners. Educational Management Administration & Leadership, (October 1, 2013), 1-16. I’ve been corresponding lately with Royce Sadler. Part of our back-and-forth has been related to assessment in higher education/post-secondary contexts. I did a post about one of his recent papers because it paralleled powerful students moderating quality - practices found in K-12 classrooms. He explained that while a huge amount of work has been undertaken related to formative assessment, there is very little focused on summative assessment and grading in colleges and universities. He also notes that this is a critical need. 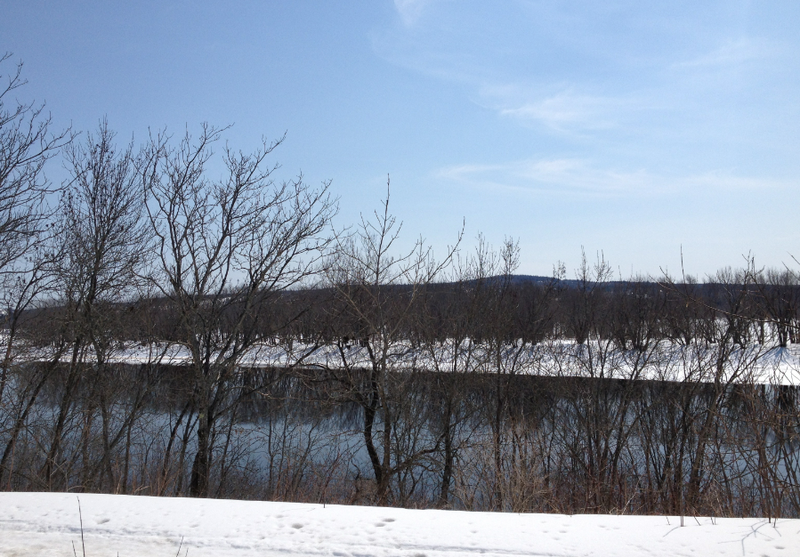 The International Symposium on Assessment for Learning in Fredericton, NB has at least two delegates submitting papers from a higher education context. Vince Geiger and his colleagues are working in the area of Mathematics in higher education. Harm Tillema and his colleagues have an ongoing research interest in peer assessment. I have included a selection of readings from all three of these writers/researchers below. Geiger, V., Jacobs, R., Lamb, J. & Mulholland, J. (2009). An approach to student-lecturer collaboration in the design of assessment criteria and standards schemes. In J. Milton, C. Hall, J. Land, G. Allan and M. Nomikoudis (Eds.) ATN Assessment Conference 2009: Assessment in Different Dimensions (Proceedings of a conference on teaching and learning in tertiary education, pp. 137-145). RMIT University, Melbourne. Goos, M. & Geiger, V. (2012). Connecting social perspectives on mathematics teacher education in online environments. ZDM: The International Journal on Mathematics Education 44 (6): 705-715. Pat-El, R., Tillema, H., Segers, M. & Vedder, P. (2013). Validation of assessment for learning questionnaires for teachers and students. British Journal of Educational Psychology 83 (1): 98-113. (First published online 6 December 2011 DOI: 10.1111/j.2044-8279.2011.02057.x). Tanilon, J., Vedder, P., Segers, M., & Tillema, H. (2011, April). Incremental validity of a performance-based test over and above conventional academic predictors. Learning and Individual Differences, 21(2): 223-226.
van Gennip, N., Segers, M. & Tillema, H. (2009). Peer assessment for learning from a social perspective: The influence of interpersonal variables and structural features. Educational Research Review4(1): 41-54. Sadler, D. R. (In press, due July 2014). Learning from assessment events: The role of goal knowledge. In C. Kreber, C. Anderson, N. Entwistle & J. McArthur (Eds.) Advances and Innovations in University Assessment and Feedback. Edinburgh: Edinburgh University Press. Sadler, D. R. (2014). The futility of attempting to codify academic achievement standards. Higher Education, 67(3): 273-288. Sadler, D. R. (2013). Opening up feedback: Teaching learners to see. In S. Merry, M. Price, D. Carless & M. Taras (Eds.) Reconceptualising Feedback in Higher Education: Developing Dialogue with Students. (pp. 54‑63). London: Routledge. Sadler, D. R. (2010). Beyond feedback: Developing student capability in complex appraisal. Assessment & Evaluation in Higher Education, 35 (5): 535‑550. Sadler, D. R. (2002). Ah! … So that’s‘quality’. In P. Schwartz & G. Webb (Eds) Assessment: Case Studies, Experience and Practice from Higher Education (Chap. 16, 130-136). London: Kogan Page. Are you seeking more information and support for powerful professional learning using assessment for learning in support of numeracy and literacy? Do you want to document impressive gains in student learning and achievement, and have teachers and schools report positive sustainable changes in teaching, learning, and assessment processes, practices and systems? This project has been underway since 2002. Evaluation has been ongoing since 2003 by national evaluators Dr. Jenny Poskitt (Massey University) and Kerry Taylor (Education Group Limited). They have documented impressive gains in student learning and achievement, and teachers and schools report positive sustainable changes in teaching, learning, and assessment processes, practices, and systems. The full report, published in 2008, describes the project, summarizes their approach to professional learning, and documents the changes that emerged as a result of the focus on assessment for learning. This report is of interest to those seeking more information and support for powerful professional learning using assessment for learning in support of numeracy and literacy. Jenny Poskitt is presenting at Assessment for Learning: Canada in Conversation with the World. There has been alot of interest in the notion of “informed professional judgement” as many Canadian educators experience a change in the balance between large-scale external assessments across a province and classroom assessment. As I’ve been reading the work of the various International experts in the area of assessment for learning, it has been fascinating to see how the notion of professional judgement is emerging differently in different jurisdictions. As educators, we can find ourselves “adopting a good idea” without having taken the time to examine the underlying assumptions and the context in which the idea first took root. For example, if one quickly reads the well-written chapter by Susan Brookhart (2013) titled, Grading, you might miss that she clearly notes the findings are pertinent in the United States. You might assume that means they would be the same elsewhere. You would likely be wrong. The current assessment, teaching, and learning conditions in the United States are unique and not necessarily transferable to other countries, given their context. In a recent post, I shared the work of some of the Australian team members in the area of moderation of student work. Australia has, during the past decade, begun to implement national testing. This work is fascinating and is of immediate interest to educators in Canada where many provincial/territorial jurisdictions also have external examinations. Here in Canada there are many jurisdictions that use the process of moderation with students, with teachers, across schools and across school systems. In the 1990s, British Columbia engaged in moderation processes as part of developing reference sets – descriptions of student learning over time – in a variety of areas such as reading, writing, numeracy, group communication, and technology. In the late 1990s, Ontario, British Columbia, and many individual school districts collected student work samples in subject areas such as writing, numeracy, social responsibility, and so on and engaged in a variety of moderation processes. The process itself varies and yet is typically described as incredibly powerful professional development. Recently I’ve been reflecting on two papers focused on “Overall professional judgement” submitted by New Zealand team members - Charles Darr and Jenny Poskitt. While the process they describe also involves looking at student work, it is evolving in a very different context. A second paper by Charles Darr (2014) describes the development of an online tool to support teacher judgements. Darr (2014) outlines the framework and the challenges of supporting teachers professional judgement with an online tool. As I read Darr’s paper, I was reminded of Malcolm Gladwell’s book, Blink:The Power of Thinking Without Thinking (2005) as well as the Assessment Reform Group’s 2006 report, The role of teachers in the assessment of learning. The work focused on professional judgement has relevance to Canadian educators as it supports some of the work already being done and offers fresh ways of thinking about it as work in the area of professional judgement moves forward in Canada - in particular, the many projects across Canada exploring alternative ways to communicate to parents and communities about student learning. To read more about ‘overall professional judgement’ from a New Zealand perspective, you might want to read the papers by these New Zealand researchers - I've included links in the reference list below. In closing, we have much to learn from our international colleagues from New Zealand and elsewhere. I am heartened that these ongoing international conversations support all of us to be critical and thoughtful consumers of research and ideas imported from other contexts. Assessment Reform Group. (2006). The role of teachers in the assessment of learning. UK: ARG. Brookhart, S. (2013). Grading. 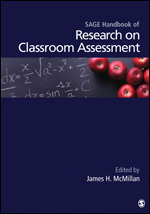 In J. McMillan’s Sage Handbook Research on Classroom Assessment (Chapter 15). Thousand Oaks, CA: Sage Publications. Darr, C. (2014). The development of an online tool to support teacher judgements. New Zealand Council for Educational Research. Auckland; NZCER. Poskitt, J. & Mitchell, K. (2012). New Zealand teachers’ overall teacher judgements (OTJs): Equivocal or unequivocal? 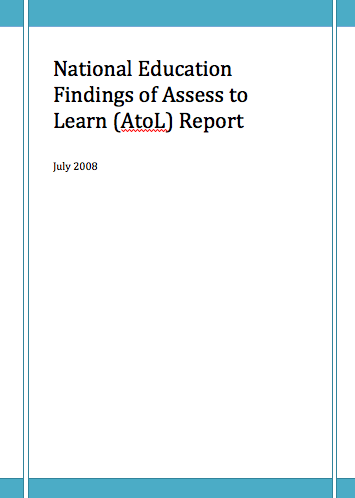 Auckland: Assessment Matters 4, 53 – 75.